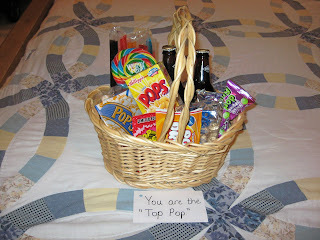 My boys and I created a "Top Pop" themed basket for Dad this year. 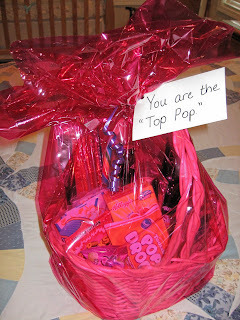 We included: Pop Tarts, Popsicles, Pop Rocks, Tootsie Pop Drops, Lollipops, Soda Pop, Ring Pops, Popcorn, & Corn Pops. Dad really enjoyed his basket of goodies! We even made a cute Father's Day card to go with the gift.